Local resident, Barry Ellis, has written a book ‘Mundford – The Village and its People’. 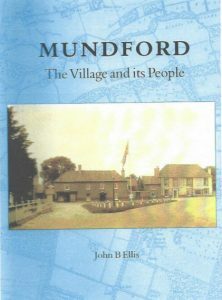 The book is available from the Parish Office, A4 hardback £20.00. To obtain your copy, contact the Parish Clerk. This entry was posted in Featured, News on 20th July 2018 by webmaster.